The Sony Xperia Z1s (aka Z1 mini) has passed FCC and has now reached US. So hopefully will this mini version of the great phone Xperia Z1, be released in the beginning of 2014. 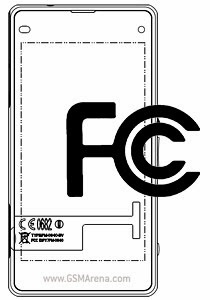 The FCC docs show a diagram of the Xperia Z1s size at 129 x 64.9mm, and the software version is 14.2.A.0.144, and that probably means that the device is running Android 4.3 Jelly Bean. If that’s the case I am a bit disappointed at Sony, because they have promised fast Android updates, but when even new devices is not getting KitKat, how would they keep that promise then? Sony Xperia Z1s will have a 4.3 - inch display with 720p resolution, same Qualcomm Snapdragon 800 processor as its big brother, 20.7 megapixel camera and of course also be waterproof. The best specs I’ve seen yet for an Android mini phone. According to the rumor will the price be $590 / €440. Update: The FCC document had the phone listed as the Sony D5503 Anami, so the codename is “Anami”, it follows the same naming as “Honami” for the big brother Xperia Z1.